FDC has been providing pre-engineered metal buildings to our clients in Northern California and the greater west since 1972. In four decades, we have built over 5 million SF of pre-engineered metal buildings in all industries and in all shapes and sizes: from wineries, airport hangers, self-storage facilities, warehouses and more. A pre-engineered metal building is a pre-fabricated building that is constructed using a structural steel framing system specifically engineered to fit your project requirements. All of the pre-determined components for the structure are factory fabricated off-site under precise factory conditions. Once the pieces are pre-cut, pre-punched, and pre-fabricated, per your designer’s specifications, they are delivered directly to the project where they are assembled on-site by a qualified construction company. So why is a pre-engineered metal building a great option for your next building construction? Unlike the name “pre-engineered metal buildings” may lead one to believe, pre-engineered metal buildings are actually quite unique and extremely versatile. Architects and Engineers combine and select from standardized components such as framing systems, wall systems, roof systems and other special design options to create your structure. With various colors, textures, and shapes, the options for these components and how they come together allow designers to create a building that is truly unique to your project. We are big proponents of these types of projects due to the endless possibilities they allow, which in turn allows us to cater to any building design or business needs our clients have. Due to the high-degree of customization these buildings offer, almost every industry, business, and function can utilize a pre-engineered metal building for their needs. It should come as no surprise that a steel structure is tough as… well, steel! These structures are more resistant to the elements, fire, and seismic activity than a building constructed with conventional materials. They’re also incredibly durable and able to withstand the test of time. Typical building issues like termites, mold, or other pests do not effect a pre-fabricated metal building like a conventional building. This means less maintenance, as a metal structure will not result in termite damage, rotting, warping, or sagging framework. Almost every part of the construction process with a pre-engineered metal building results in time savings. 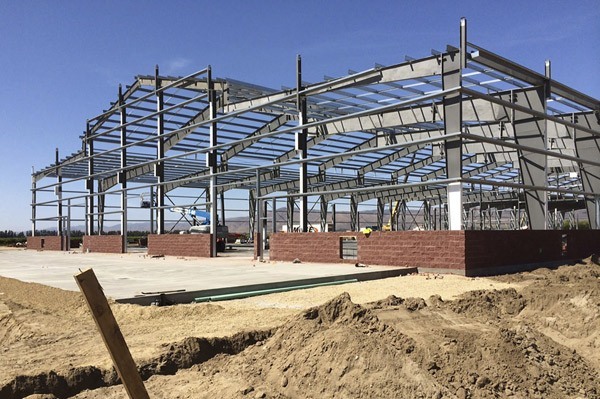 The design process of a pre-engineered metal building is significantly reduced due to the fact that these structures are created using standardized sections and components. These components are carefully engineered to serve a wide variety of architectural needs and designs, all of which are pre-determined and then crafted prior to on-site assembly. Technology continuously increases the speed of metal building design, engineering, and detailing. Building Construction time and costs are more predictable for pre-engineered metal buildings. Because all the parts are factory manufactured and shipped to the site, there is less human error and labor to factor into scheduling and costs. Once your pre-engineered metal building is crafted, the quick assembly allows for your construction team to quickly erect the building on-site. Because the components and pieces are delivered complete, there is no need for cutting or welding and your construction team can go straight to bolting the building together. It is possible to construct your building, from design stage to complete erection, in a third of the time is takes for conventional structures. Using a pre-engineered metal building could save you anywhere from weeks to months of construction time. A pre-engineered metal building is strong and is built to last. The sloped roofs and metal walls are not only aesthetically pleasing, but they are also self-cleaning. Specialty coating is applied to the walls and roofing material that help retain color and resist dirt. The longevity and sustainability of a pre-engineered metal building will continue to save you time (and money) throughout the building’s lifespan. Businesses often outgrow their current facilities and need to expand. Pre-engineered metal buildings are wonderful because they allow for easy expansion of existing facilities. Any remodel or expansion is made much simpler because of the standardized design and quick assembly process. 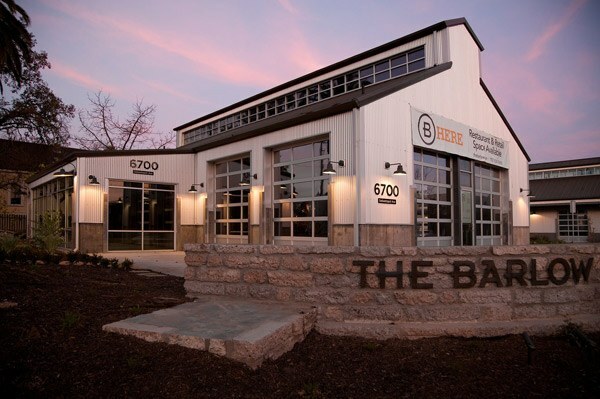 The Barlow, located in the heart of downtown Sebastopol, showcases both production and retail for artisan producers. FDC led and took charge of the entitling, permitting, and execution of the complete project over a two year period. It includes seventeen modern metal buildings, multiple 500-16,000 SF suites each with a glass roll up store front and up to 30 ft. ceilings, new city streets, a beautiful 12.5 acre landscaped campus, and parking. 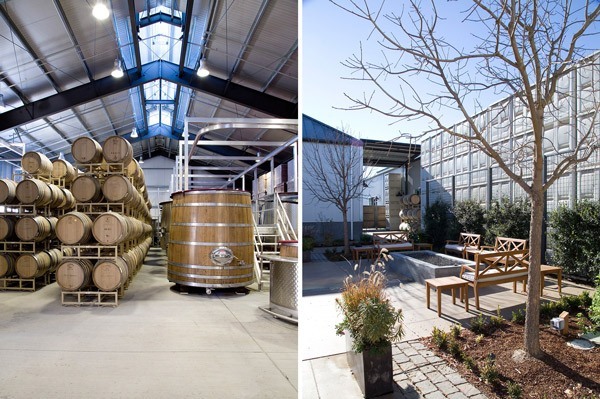 Kosta Browne’s new 55,000 sq. ft. processing and hospitality facility was built to help the company’s premium Pinot Noir brand expand and keep up with its high demand. Working with the ownership on design, development and permitting, FDC was able to use pre-engineered metal buildings to create a highly functional but easily expandable facility that could keep pace with Kosta Browne’s amazing growth. 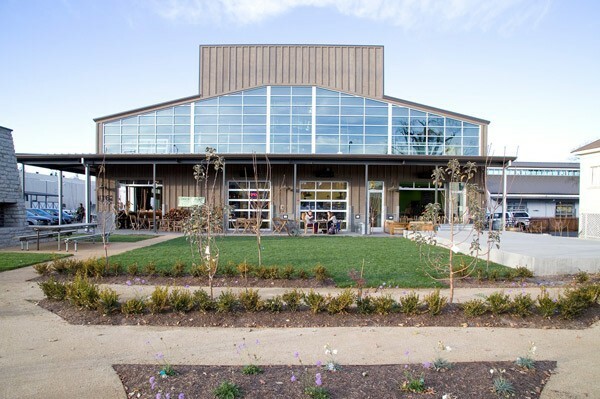 FDC was integral in value engineering a design for the local non-profit grocery and community market in Sebastopol, CA. Our team created something very functional and cost effective, knowing that the less money spent on capital improvements and rent would allow for greater success as a community contributor. 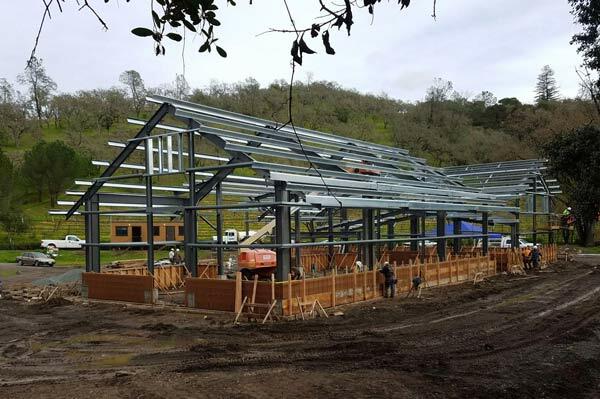 FDC is constructing a new winery facility for Dakota Shy Winery, located in the heart of Napa Valley. The new pre-engineered metal building will include a fermentation room, barrel storage, lab, office, tasting room, and bathrooms. We are proud to be a local leading force in pre-engineered metal building construction. Our team works hand-in-hand with business owners to craft buildings that meet their unique needs and provide a high-degree of cost efficiency. If you would like to learn more about partnering with FDC for construction services, please call or contact us online today.